PBX was yesterday, but VoIP is here to stay! Individuals and businesses are all enjoying making low-cost VOIP calls and having the most out of them. Corporate people enjoy the benefit of saving a great deal of money with internet phone calls. Owing to this plus factor, they have shifted their attention to exploring hosted PBX phone system, as a replacement for a PBX. PBX is a small telephone network that companies can use for distribution of multiple lines through one main line, where VoIP is a new telephony system which is gaining widespread acceptance and popularity with a great momentum. 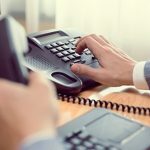 These two phone systems although have a lot in common in terms of functionality, yet VoIP phone systems offer a much economical telephony experience, with added features. With VoIP’s cheaper internet phone calls, compared to PBX, businesses who have adopted a VoIP phone service save a lot on their financial expenditure, which otherwise is expensive on phone calls. 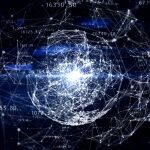 Apart from the cost factor, another big reason why VoIP is winning over traditional PBX phone system is the mobility issue. 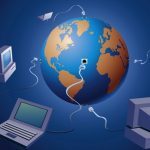 VoIP can be used anywhere, on a condition that you have a working internet connection and a PC, whereas, with PBX, you can only use the system with land line service. In fact, now mobile VoIP is also available for one’s convenience. Also, the other reason why PBX users are on the shrinking end and VoIP users on the growing end is the difference in regards to the setup of both the systems. Mostly, VoIP is comparatively easier to setup, when compared to PBX. A PBX system is rather more complex, which is why the setup is more extensive. 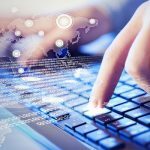 Nevertheless, there are some PBX providers available in the market that will require more of a setup process than a VoIP provider will. 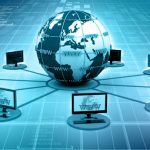 Normally, for setting up of a VoIP service, an Ethernet or internet connection is all that is needed to start making internet phone calls. Added features again make VoIP and PBX stand at different odds. A traditional PBX is said to be loaded down with features; however, VoIP phone systems has all the same features as a PBX which come for free or at a much-reduced cost when compared to the typical PBX. With a VoIP system you get the benefits of cost savings through, cheaper calls, and free features; while with hosted VoIP services, maintenance lies on by your service provider’s shoulders. 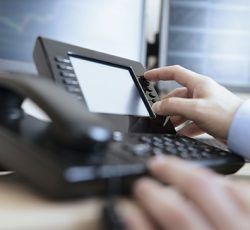 Though Traditional PBX systems do not have VoIP support but the latest technology called IP PBX, supports VoIP and can result in a seamless integration and an even powerful telephony service, where users can use the same phone to dial outside numbers or call a branch office in another country via VoIP service facility. This advanced PBX system can lessen the phone bill of a company by such a huge margin. Therefore, it is time to replace your older PBX systems with a VoIP phone system or an IPBX phone system with VoIP support for enhanced functionality. It won’t be wrong to say that VoIP is the future of PBX systems. It comes with a lot of added features with no real drawbacks as such. While the cost reduction element alone is sufficient enough to make a big impression on even the most hesitant consumer.